Turn down the lights in here, baby. Kanye West and 12 Years a Slave director Steve McQueen’s nine-minute long video installation, All Day/I Feel Like That, makes its U.S. debut at LACMA tomorrow. McQueen, who directed the project, apparently gets along well with the erratic rapper, if a pages-long chat between the two for Interview magazine is any proof. 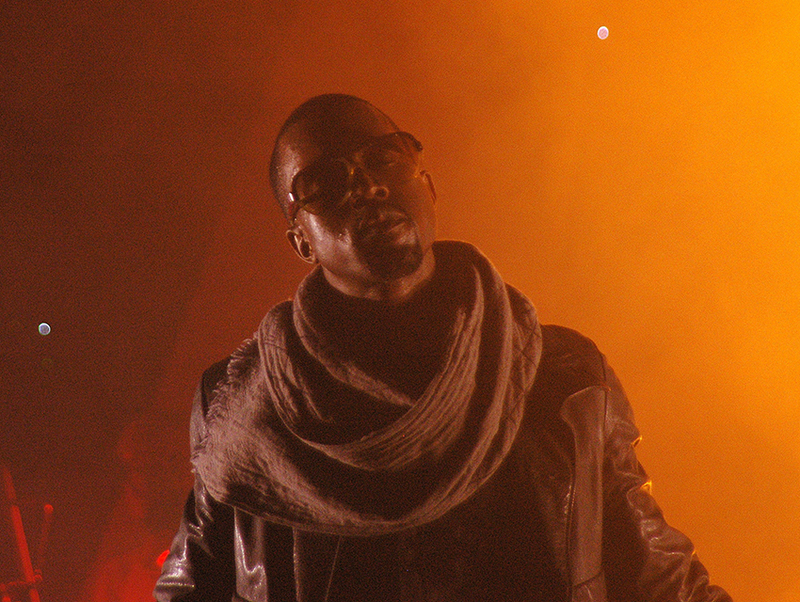 The installation is a music video mash-up of Kanye’s “All Day” with the as yet unreleased “I Feel Like That” (from his upcoming album, SWISH). Why the large-scale reveal? Because Kanye. Based on a leaked video from the premier of All Day/I Feel Like That at the Foundation Louis Vuitton in Paris, the film features Ye prancing around, looking wearily at the camera, and generally balling hard in an abandoned building at Chatham Dockyard in England. Hoping for flamethrowers? Looks like you’ll be disappointed. Hoping to see a pair of adidas YEEZY Boost 750s in action? You’re in luck. Christian Marclay’s The Clock keeps ticking, but we just count the hours until 10 a.m. tomorrow (when the museum opens). All Day/I Feel Like That will be on view through Tuesday, July 28.